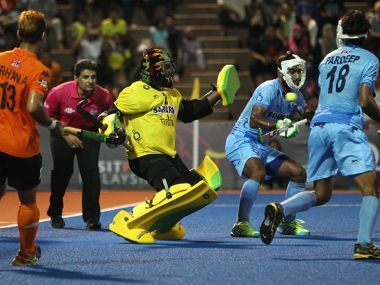 Goalkeeper PR Sreejesh starred in front of the goal to help India beat South Korea in the penalty shootout to enter the final of the fourth Asian Champions Trophy hockey tournament, in Kuantan on Saturday. Top-ranked India face a tricky South Korea in the semi-finals of the Asian Champions Trophy hockey tournament. Follow our live blog for regular updates. 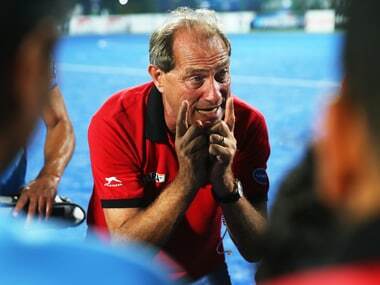 Indian hockey team coach Roelant Oltmans was a happy man after his side coasted to a 9-0 victory over China in the preliminary league outing of the fourth Asian Champions Trophy. Akashdeep Singh and Jasjit Singh Kular scored a brace each as a ruthless India routed China 9-0 in a round-robin match to enter the semi-finals of the Asian Champions Trophy hockey tournament at the Wisma Belia Hockey Stadium. South Korea on Monday posted their first win in four outings in the Asian Champions Trophy hockey to keep in contention for a place in the semi-finals of the six-nation tournament. 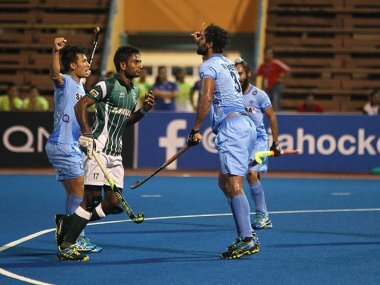 Top-ranked India had to dig deep into their reserves to eke out a 3-2 victory over arch-rivals and defending champions Pakistan in a preliminary league match of the fourth Asian Champions Trophy hockey in Kuantan on Sunday. Penalty corner specialist Rupinder Pal Singh slammed six goals as India started the Asian Champions Trophy 2016 with a rousing 10-2 victory over Japan.